If you have no alternatives, apply for a hardship withdrawal from a retirement plan. 1. What Happens If I Close My Thrift Savings Plan? A thrift savings plan -- or TSP -- is a retirement plan for employees of federal government and uniformed service members. 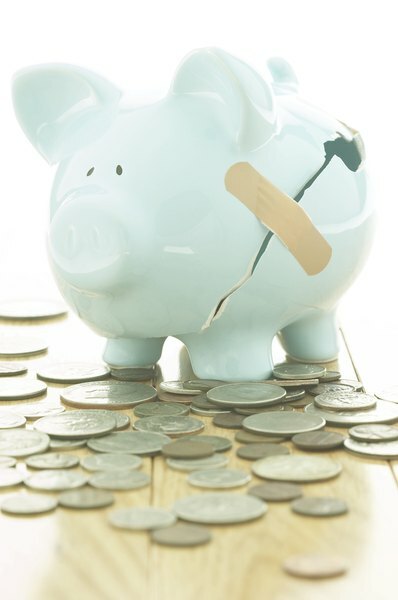 Although the plan is designed for contributions to grow untouched until retirement, in-service withdrawals -- money withdrawn from your TSP while you're still actively employed -- are allowed in certain cases of financial hardship. Four circumstances can qualify for a financial hardship withdrawal from a TSP. If your monthly expenses consistently exceed your monthly income, you're eligible. Alternatively, eligible candidates include those who have incurred tax-deductible medical expenses that they can't afford to pay and aren't covered by insurance. Hardship criteria also includes suffering a tax-deductible personal casualty loss you can't afford to pay and that isn't covered by insurance. You may also obtain a financial harship withdrawal from your TSP to pay legal fees and court costs associated with separation or divorce from your spouse. You can't withdraw more than you actually need to meet the hardship, or less than $1,000. Additionally, you can only make withdrawals from monies you have personally contributed -- or have transferred or rolled over from other eligible retirement plans -- not from any amounts your employer has contributed. If you contribute to a TSP though the Federal Employees Retirement System or are a member of the uniformed services, your spouse must consent in writing to the hardship withdrawal request. If you participate through the Civil Service Retirement System, you're required to notify your spouse of your withdrawal intention. If contacting your spouse isn't feasible, you can request an exception to this requirement by completing the Form TSP-16 -- TSP-U-16 for uniformed services members -- Exception to Spousal Requirements. If you take a hardship withdrawal, you won't be allowed to make TSP contributions for six months after the date of the withdrawal. This further reduces the amount of money you have available at retirement. Additionally, the amount you withdraw might be subject to federal and state income taxes and -- if you're under age 59 ½ -- you'll be assessed a 10 percent penalty. TSPs are defined contribution plans. This means that the amount of money you receive upon retirement is based on the amount you and/or your employer contribute to your TSP and the earnings that accumulate on those contributions. When you take a hardship withdrawal, you reduce the overall value of your TSP and will have less money available to withdraw at retirement. Can You Borrow From Your Retirement Account to Pay for College?